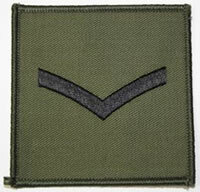 3 Commando Brigade are pleased to announce the promotion of Arka to Lance Corporal. Arka has been with the Brigade for 9 months and his contribution to the group continues to be greatly valued. We are also happy to have joining us from the recruit ranks, Mne. Switch and Mne. Nemiuk. Welcome aboard guys. and Welcome Switch and Nemi !! You forgot to mention my promotion to Major. Thanks. And immediate demotion back to Captain. Welcome. now to throw my weight around and abuse what little power I have been given. Cheers lads and welcome to Nimiuk and Switch.